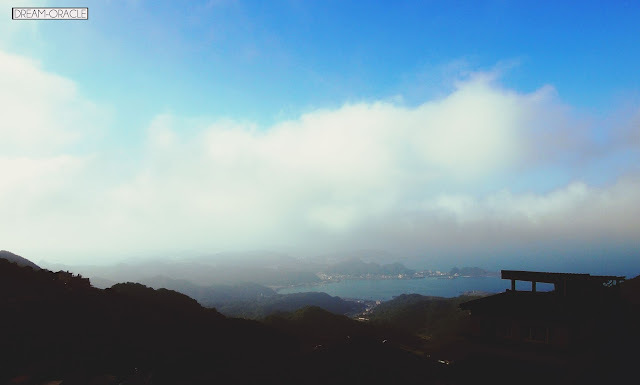 Jiu Fen is located on a mountainous area and the place is aptly named, because there used to be only 9 families staying in that area. It has long since ceased to be just 9 families, as shops and all sorts of minsu, hotels are popping up all over to accommodate the influx of tourism activities in this area. We weren't sure of what to eat in Jiufen, so we just walked on and stumbled upon this stall. It attracted me because they were making some weird concoction of Ice Cream Peanut Roll. I'm serious. It's like sweet and salty all thrown together and put into a wrap reminiscent of our local Poh Piah. Weird dishes aside, we saw that they had Beef Noodles so we headed inside. I later found out that this stall is a pretty old and famous eatery in Jiufen, and their specialty turned out to be..beef noodles. 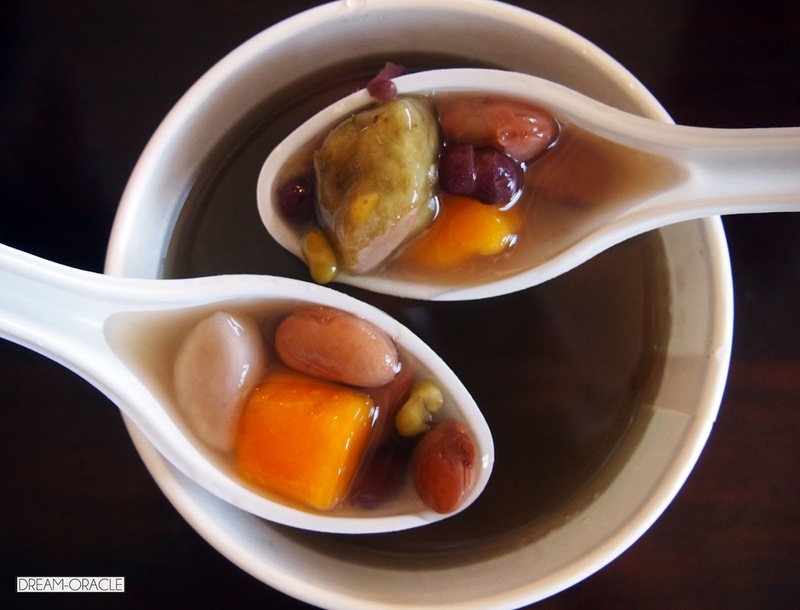 I love love love the herbal soup base, so rich and satisfying. The beef pieces were tender and flavourful. The noodles are like our Ban Mian..which means I can eat them! So happy, Taiwan is probably the first place ever to serve mainstream noodles that I can eat. By mainstream, I meant most of the stalls in Taiwan serve this type of Ban Mian noodles in their noodle dishes. 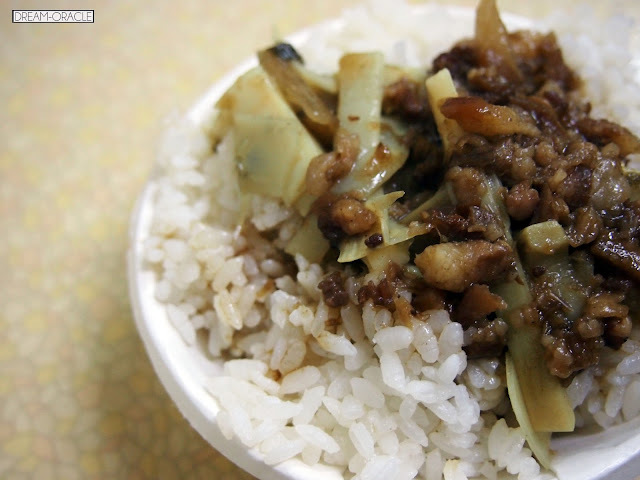 This might be mistaken for Braised Meat Rice 卤肉饭 but it's actually not. It's good but probably not to my liking. I prefer Braised Meat Rice. But the shredded bamboo shoots were really crunchy and fresh. 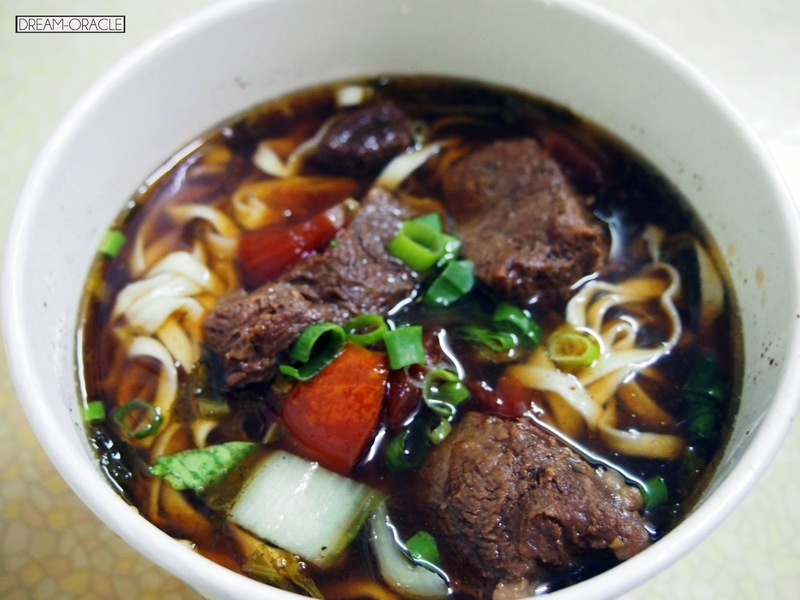 Really love the Beef Noodles, looking at the photos makes me crave for more now! Time for some dessert after that satisfying meal. 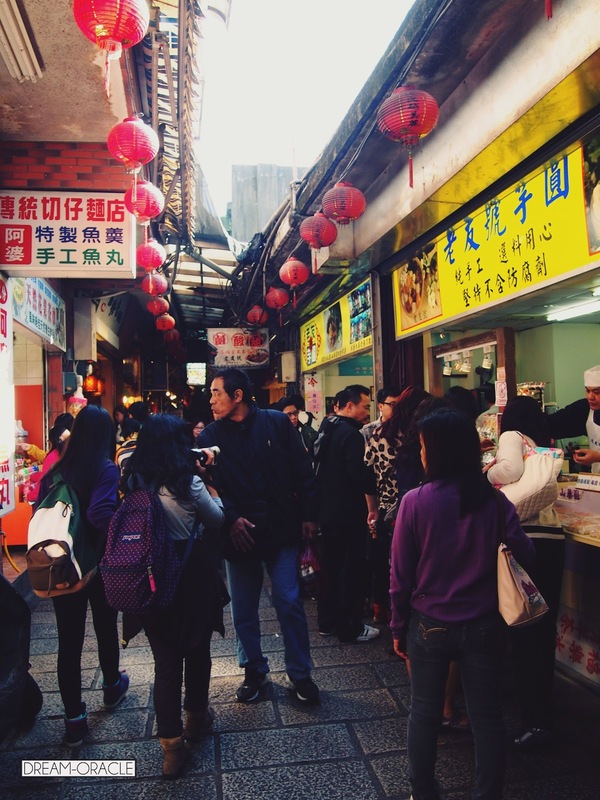 On the search for the famous Jiufen Yam Balls! Find this flight of stairs and you'll be able to spot the shop. Good thing they placed that giant yellow signboard there, else I'll be walking in rounds. The shop space is huge, and the shop itself only houses tables and chairs. You have to place your orders outside. Pick a window seat and be rewarded with a scenic view of Jiufen. It was winter time, which is why the weather is kinda unpredictable and cloudy. This is the cold version, and there's no soup. You have to mix it all up to find some crushed ice and red beans. underneath. I love the myriad of colours, so tantalizing and appetizing! These come in 3 types - yam, pumpkin, and green bean. My personal favourite has got to be the pumpkin one! This is the hot version, it comes with soup. 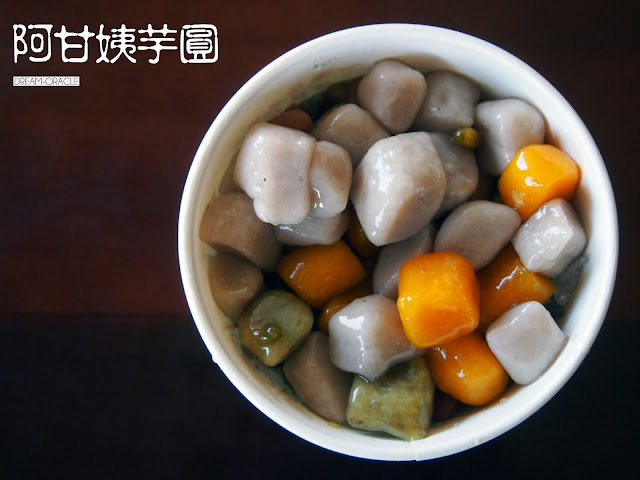 The balls tasted like the real deal, with very minimal starch added so you can actually taste the freshness of ingredients (pumpkin, yam, green beans). Personally not a hugeeee fan of such dessert, but they say it's a must-try in Jiufen so here I am haha! I love the freshness of the ingredients, and also it's not too sweet and definitely not artificial. This is good but like I said, not my type of desserts. But that's just me, if you enjoy these type of desserts, I guarantee you'll love this place. 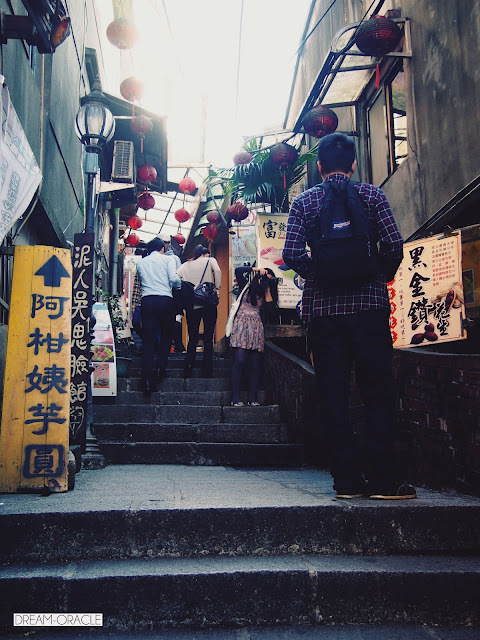 From Taipei, take the train to Rueifang, then a bus to Jiufen.